Diet Diary: This Week I am Mostly Finding Out The Reasons Behind Health Issues. 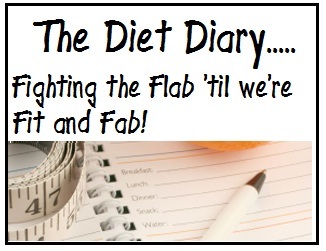 Sorry for going all quiet on you if you have been following my hand in hand Diet Diary here and on UKMums.tv. I have been keeping up with the diet, promise! The week just gone saw me struggling with my old nemesis, the PCOS pains, which totally mess up my entire balance and leave me clutching a hot water bottle in misery and pain. At the end of January, after finally finding a sympathetic ear from my new GP, I was sent for proper tests in the form of an ultrasound. 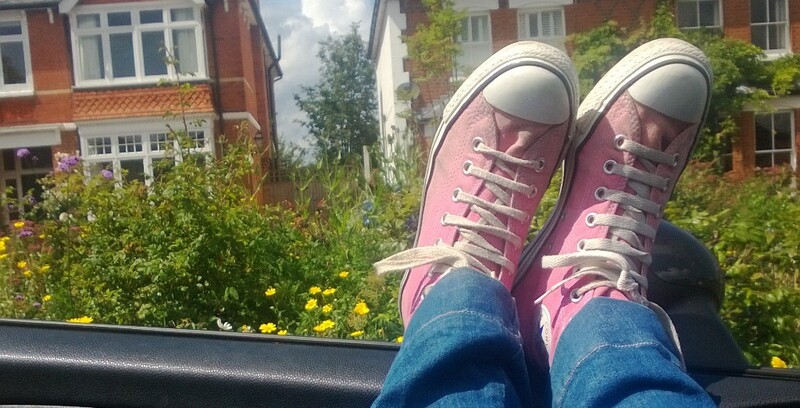 I have blogged about how two years ago, before the crippling and inevitable pains started, I went to my old GP, begging him to do something about the symptoms I had at that point (and still have now). He was really rude to me, suggesting I was making up my symptoms to get “my own way” over a sterilisation- which I had been told a big fat no to by him due to my age and marital status. He really was a jerk, not just to me but regards Littlest’s ongoing health issues too, but, thankfully, he has sodded off from the practice now and we have a genuinely happy to listen and help GP- something all patients should experience. I was still worried going to him. However, rather than bring up my depression (4 years ago people! 4 years and the old GP was still putting everything down to it), he listened and agreed with me regards my symptoms. It turns out though that, rather than being a simple case of PCOS, I actually have further issues whereby bits of my body have fused together after having Littlest. My body seems to make too much scar tissue inside, which we found out when I had Mini with my uterus and bladder being fused while I was carrying her, and now one of my ovaries has decided to join in the fun and fuse itself to another part of my anatomy too- hence the pain! So, its off to Hospital Friday, hopefully for further help and guidance to get it all sorted out. The problem with PCOS is that can have a terrible effect on the body. It’s why I’m heaviest around my tummy rather than anywhere else, and it can be a pig to sort out. It means trying lots of different hormone tablets and possibly operations to sort out, but these are quick fixes which can reverse by themselves. I am told that my current healthier living and exercise regime will eventually help, especially the yoga as it works the muscles. Its not putting me off losing weight, but it obviously means I have to be more realistic when feeling disappointed that my shape isn’t shifting in that area as much as I’d like. On the plus side, I lost another 5lb last week, despite going out for a meal on my birthday- I did indulge food wise but stuck to clear alcohol rather than my fave Magners. I went over my calorie amount on that day for the first time since I started this adventure to lose weight. I felt awfully bloated after eating out with rich food! I did have a little hangover in the morning, but half an hour of gentle yoga soon saw that disappear- its amazing how, usually a Hangover (although rare as I’m not a big drinker) would mean I would be eating bacon rolls and drinking lots of lattes, which does nothing really to stop it. Yoga just stretched me right out and cleared my head. I’m really converted to it! I’ve still had lots of energy and now we’ve finished Mini’s bedroom. Its making me reassess everything and I’m ditching alot of stuff around me too. My overstuffed with paperbacks read and then left to go dusty have been freecycled- I cleared a whole bookcase and a half, about 150 books in all, plus old DVDs, shoes and other tat just lying around. I am feeling like the future is great and clutter just messes up the feeling of space around you, if your home is cluttered so is your mind, and having less stuff everywhere sure gives more room and stops the room smelling like a mouldy bookshop! Is It Just Me: That Really Dislikes Shows Like Wanted Down Under? Bit of an unusual Is It Just Me today, but this had to be put to the general consensus. Wanted Down Under- your thoughts please? It’s a strong reaction I grant you reader, but it just irritates me on so many levels. It’s either watch this show or Jeremy Kyle, and frankly I’d rather stick my head in a box of Piranhas than watch Jezza and the parade of Chavs on ITV. I have no problem with Brits going off to Australia, New Zealand or anywhere else in the world. Sadly, our country doesn’t look after its home grown talent, its Builders, Teachers and medical staff. Many are left either being undercut by those less skilled due to a lack of proper registration for tradesmen and women, or are made to feel unwanted and undervalued in their roles. If I had the cash, I’d be off tomorrow! No, what I really do not like is the tactics this show uses. Firstly, the family are shown three properties. .here are the type which everyone dreams of with a private pool, masses of rooms and space- think a Ramsey Street home and you’re there. They also show something more mid ranged, and then an over priced dump too. The thing is, showing the families the best house first- its hardly fair to get their hopes up. I know most of us dream of a big house with flash extras whatever country we happen to reside in. Most are more sensible though and realise that, whilst that is a dream, its not possible, and you have to be realistic.To start small and work your way up. So, why show them, during a period of time when they are trying to make a massive decision on being in their home country or abroad, something completely unrealistic. The worst bit though is the downright emotional blackmail that they use from friends and family back home. Personally, if I was to go off to start a new life somewhere I knew would be better across all counts for my family and myself, I’d go regardless. However, I’m not even slightly close to my family. But the show has lots of video interviews with every single member of the couple’s family and friendship group they can possibly wheel out. It ends up being more tear streaked than an episode of Call the Midwife. On today’s show, you had young children looking into the camera, sobbing their hearts out and begging “pleas don’t go” before having to be cuddled by their parent. What on earth? Its an emotional time for a family to lose members to another country. However I wouldn’t up the pity party by allowing young children to be used on TV in this way. My bro in law and his family emigrated to Australia at the end of last year. Did we all beg him not to? Cry on screen? Use the children as emotional currency? Hell no. We were well chuffed for him. He’s happy as Larry over there. We’ve been updated via Facebook of the family trips to the tennis, to the beach and on the progress of finding work and a house. Good on them I say! Overall, the programme could really do good and show Brits sick of getting a raw deal in their own home country how good they could have it out there. Get rid of the unrealistic home ideas,the pity videos, and actually help set them up with jobs, incomes and schools. Otherwise this is one show I will skip to go on Twitter….. Diet Diary: This Week, I am Mostly Full of Energy! The time has come for my weekly round up of my fight to rid myself of the flab, and a little continuation of what is in my tie in diary at UKMums.tv. As the title suggests, I am utterly full of energy right now. I feel like I’ve dropped years off from my usually tired self, back to my days of being up all night most nights of the week. It all started when Mini was born near to 6 years ago, and I took on the sole responsibility to breast feed her on demand. I got used to being asleep when she was, so my whole body clocked got confused and demanded I nod off at daft, baby friendly times. So, whilst most of my mates would be discussing the latest must see programme after the watershed, I’d be clueless as I’d nod off on the couch by 8.30pm without fail. On the few times I managed to ingest enough coffee to keep me awake, I’d wake up with a crippling migraine and be ratty the next day. Which is no fun for anyone. I’ve cut right down on the caffeine now, and by pass the local coffee shop when I walk into town too. From having at least 8 cups a day of strong coffee, now have, at most, three with lots of semi skimmed milk to dilute it.I also stop drinking coffee and stick to water after 8pm now too. I always worried that, should I cut down so much, I would be shattered and headaches would plague me. Its been the exact opposite though. I have been enjoying walks into town as well. I’ve been firing up my MP3 on my mobile, whacking in my headphones and trying to walk with a good pace. Its so nice to block the world out and have time to think! I’ve been breaking my own records on Yoga and boxing for the wii, and yes, its mad to get a buzz out of the “trainer” on their telling me my balance is great or that I am now a Yoga Master level at the Sun Salutation, but a girl’s gotta take a boost where she can! I’m no longer experiencing cravings for chocolate anymore- there’s more to life than sweets after all. Instead, I have been working out what my weekly spend would be and buying a second hand novel to read in the evenings instead. It certainly takes my mind off wanting to pig out. I have been a little naughty, and now have one day per week where I can have a small take away, but I’m sticking to using one of the children’s plates and having fish, where I remove the batter, and a small handful of chips. I exercise the rule whereby if you sigh whilst eating, its your bodies way of telling you that it’s full. You have to have some treats in life, and whilst this is an attempt to lose weight, when you have the sense to do the exercise afterwards (I’m now pulling an hour of dedicated exercise 5 out of 7 days), and then you can eat a more flexible range of foods. I find the hour goes so quick now, and the muscle aches and pains are dying off every time I go for it now, which is a great way of knowing that its working and my body is building up the strength I used to have when I was on the go all the time with sports and dance. Next Sunday is my 31st Birthday, and we’re probably not doing much. I will spend it with the Brats and Elder, and may have a nice glass of wine, and certainly a home cooked meal. I love that changing one ingredient for a healthier alternative makes so much difference to the taste in a good way. I’ve always used full cream to make curry sauces, but adding a tin of half fat Coconut milk and a dash of fish sauce works just as well (recipe coming up at the Lazy Girl Cooks!). So, how are you getting on? Feel free to pop over and say hi on My Fitness Pal and let me know whats good and bad in your diet this week.